From our base in Aberdeen, Raeburn Drilling and Geotechnical (Northern) Ltd can offer a wide range of Geotechnical Site Investigations and reporting on previously developed 'Brownfield Sites' and undeveloped sites. 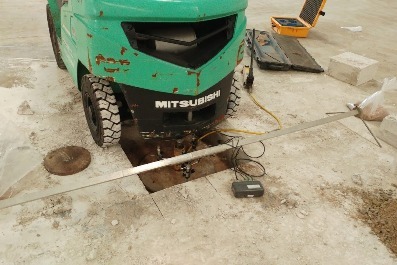 A well designed site investigation can often lead to project cost savings in the long term by allowing contractors to foresee potential problems. Our experienced team can cater for individual requirements and offer cost effective solutions, including fieldwork and laboratory testing to suit any size of project, designed to meet your needs. You will benefit from the proactive best-value service that we provide, all in accordance with the appropriate Specifications and Standards. Our reports can be presented as either factual or interpretive reports with recommendations relating to both geotechnical and environmental considerations in AGS or PDF formats if required. Trial pitting can be carried out by a variety of methods from hand dug pits to machine excavated trenches. 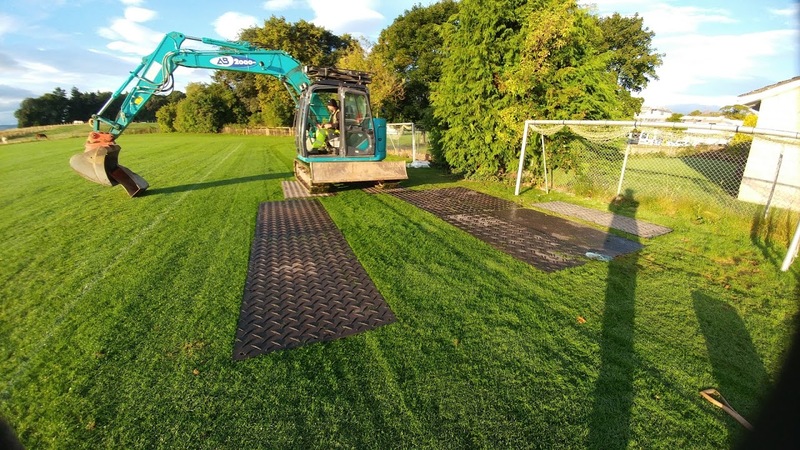 Trial pitting is generally carried out to a maximum depth of 4.5m with standard excavation plant and, depending on soil conditions, is generally suitable for most low rise developments. 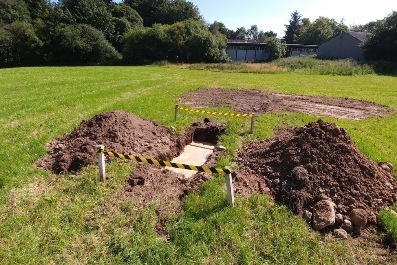 All trial pit investigations are supervised by experienced engineers with a thorough understanding of geology and soil mechanics. The Raeburn Drilling and Geotechnical Ltd Group, with engineers and geologists ranging from graduate to chartered status, can deal with all aspects of site investigation and analysis anywhere in the U.K, we can provide a rapid response to satisfy your programme requirements. Engineers and geologists ranging from recent graduate to chartered status with years of geotechnical experience. All staff hold an appropriate CSCS card. Modern IT systems incorporating a geotechnical database allowing the production of logs, cross-sections, drawings and measurements. Integration with CAD systems, slope stability analyses and contouring (layer profiling). Archive of geotechnical and historical maps together with large technical library and extensive geotechnical knowledge base. Report production in various formats including Adobe Acrobat and AGS, Including Topographic and Ground Penetrating Radar data. Desk-top studies to assess the geological conditions beneath a site, including mineral stability. Scoping ground investigations to address the Geotechnical issues while taking into account the nature of the development proposals. Logging trial pits, soil and rock samples to BS5930 and Eurocodes. Field mapping of geological formations. Field testing including permeability (variable and constant head, packer, pumping), infiltration, percolation, vane shear strength, DCP, CBR, Plate Load Tests, redox potential and resistivity. Field installations including, gas and water monitoring standpipes, inclinometers and extensometers. Field monitoring of the above using the latest data logging systems. Scheduling laboratory testing on samples of soils, groundwater and rock. Preparation of factual reports on the findings of the investigations. Also see our other Services information.